Investigative Judge Belizaire, frustrated in his attempts to indict ex-President Aristide on corruption charges from his time in office, has called Chief of Police Orelus to Belizaire's office, asking why Orelus has not executed an arrest warrant on Aristide. Belizaire does not have a good answer why he has failed to arrest Aristide, which leads to the conclusion Orelus's department is being defiant. But an officer of the Haitian National Police (HNP) reports Orelus has sworn to Belizaire he will ensure the arrest warrant is served on Aristide. The officer has said the arrest would occur soon since Orelus cannot go against the orders of Belizaire to arrest Aristide. To save face the informant said specifics were being hashed out to get the warrant executed. 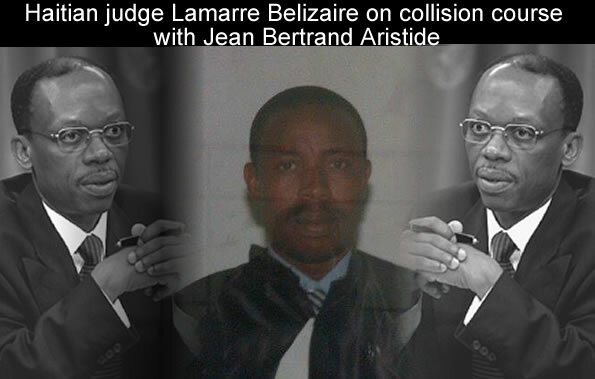 Controversial judge, Lamarre Bélizaire, continues to throttle forward with his investigation into the Aristide Administration, despite the recent alleged threat to his life following the report of gunshots near his home. Bélizaire has now issued a warrant for the arrest of the former Haitian president. Bélizaire's determination to complete the investigation has given rise to accusations of bias from the counsel of Jean Bertrand Aristide, who filed a motion to have the judge removed from the case on those grounds. However, in a recent interview with Haitian-Caribbean News Network (HCNN), the judge told the press that, in light of the motion filed against former President Aristide, he had not revoked the warrant. Judge Lamarre Belizaire is attempting to indict ex-president, Jean Bertrand Aristide, on charges of corruption, money laundering, embezzling funds, and other assorted criminal acts. The charges are related to the operation of Aristide's non-profit, Aristide for Democracy Foundation. When the media tried to contact Belizaire regarding the case he was unavailable, his office citing "legal and ethical reasons" for remaining quiet. 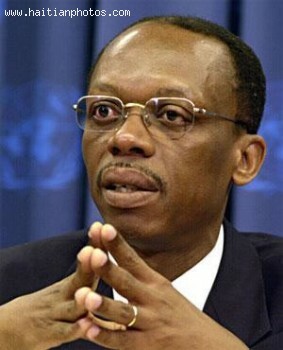 Ever since 2004 when Aristide was forced into exile a UN Peacekeeping Force has been a presence in Haiti to quell outbreaks of violence between Aristide's party, Fanmi Lavalas, and opposing factions. Belizaire wants Aristide arrested for refusing to comply with a summons ordering him to attend a hearing in Belizaire's courtroom to answer to the corruption charges. The list of names Judge Lamarre Belizaire boldly wrote, which banned from leaving the country 35 influential supporters of a former president, plus the man himself, may have landed the judge in danger. It was early August when the list was made public, with the names of all those expected to remain in Haiti while awaiting questioning in the investigation into several acts of drug money laundering, misappropriation of public funds, and other grievous acts of corruption. The man at the head of the list is former President, Jean-Bertrand Aristide. During his time in office, from his inauguration for a second presidential term of five years in 2001, he is said to have, with his dozens of accomplices, abused the power issued to him in the post. 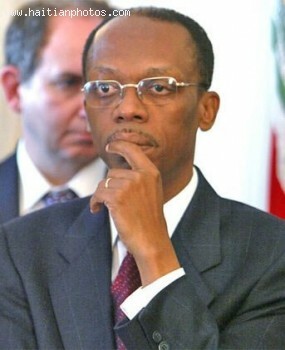 It is an investigation that started in 2005, following the ousting of Aristide from the presidency the year before. Also named on the list with Aristide are Yvon Neptune, Oriel Jean, Marie Carnel Latouche, and Paul Presler, among others. Jean, a former Presidential Palace security chief was already question, also was the former director of the Aristide Foundation for Democracy, Thoussaint Hilaire. Can someone talk to Judge Lamarre Belizaire for me please? He needs to know that nobody is paying attention to his orders on Jean Bertrand Aristide. Not the Haiti Police Chief, not the Police, not the demonstrators in front of Aristide's home in Tabarre, not members of Lavalas Political Party who come and go in his home, not Jean Bertrand Aristide himself. Let's make some senses out of this. Our beloved Judge Lamarre Belizaire issued so far a total of 5 Court Orders on the Former Haitian President and the all went straight to the garbage. When you think things are settled in the case of Jean Bertrand Aristide, something unexpected arises. Former President Jean Bertrand Aristide is expected o be in court tomorrow, Friday October 10, 2014, whether he wants it or not. According to HCNN, Judge Lamarre Belizaire just issued an extraction order to the Police Chief Godson Orelus to make certain that the Haitian Police bring Mr. Aristide on that date. The Order of extraction has for objective to ensure that the police brings the former Haitian President in front of him on Friday, at 10:00 am. Judge Lamarre Belizaire is at it again. This time he is targeting another high level member of the Lavalas regim. The judge issued on Tuesday an arrest warrant against businessman Joel Edward "Pasha" Vorbe for ignoring his summon to appear in front of him. The Haitian businessman was to appear in front of judge Lamarre Belizaire today(9/16/14) to answer questions related to the investigation on money laundering and criminal conspiracy. Businessman Joel Edward "Pasha" Vorbe neither called or showed up. 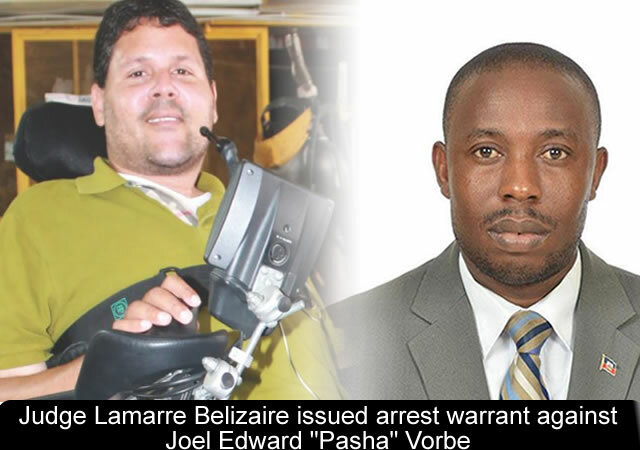 According to HCNN, Judge Lamarre Belizaire has issued an arrest warrant against Joel Edward "Pasha" Vorbe as a consequence. Joel Edward "Pasha" Vorbe has joined the leader of the Lavalas Party, Jean Bertrand Aristide, to challenge the authorities of Judge Lamarre Belizaire.